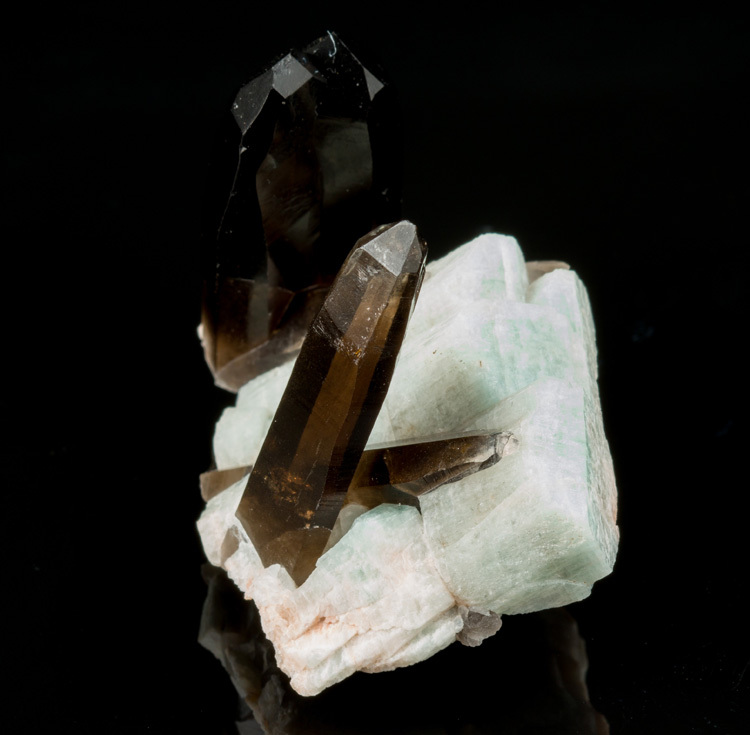 This small combo from the famous Smoky Hawk Mine. 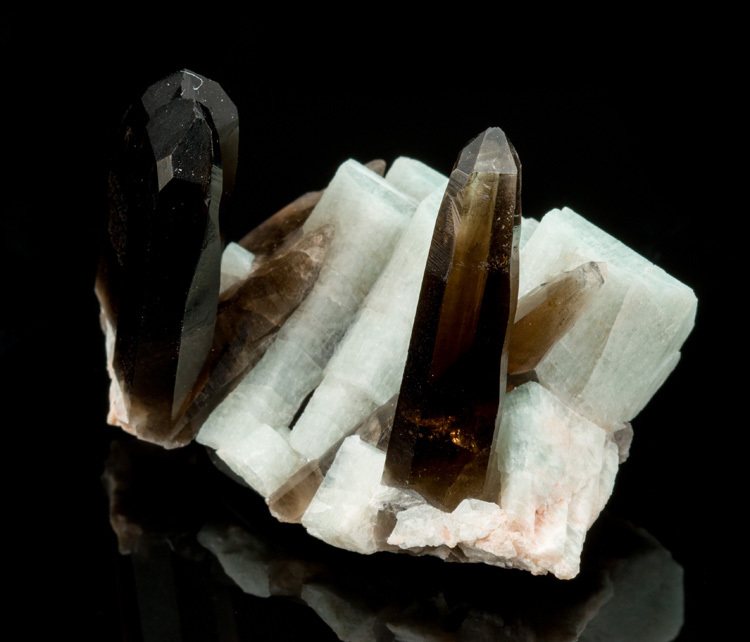 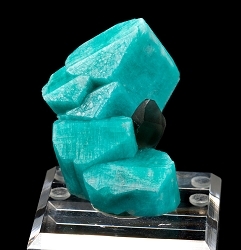 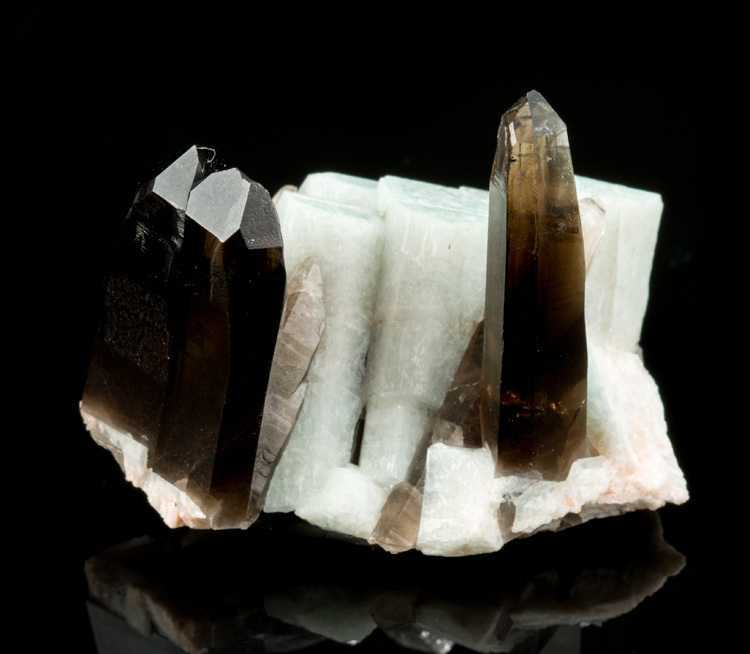 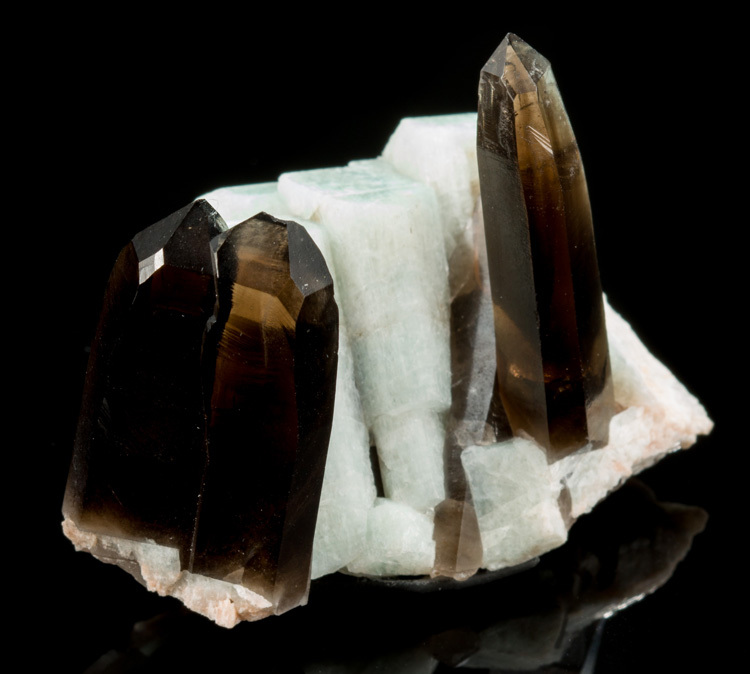 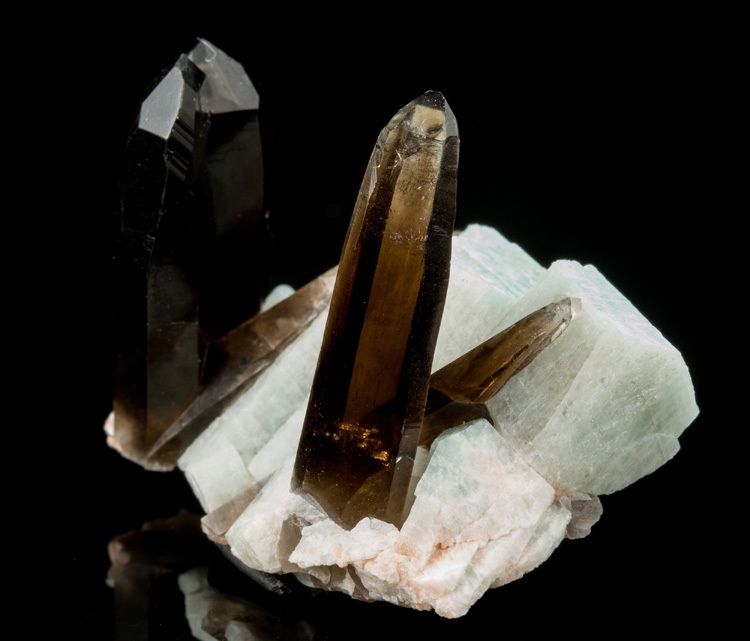 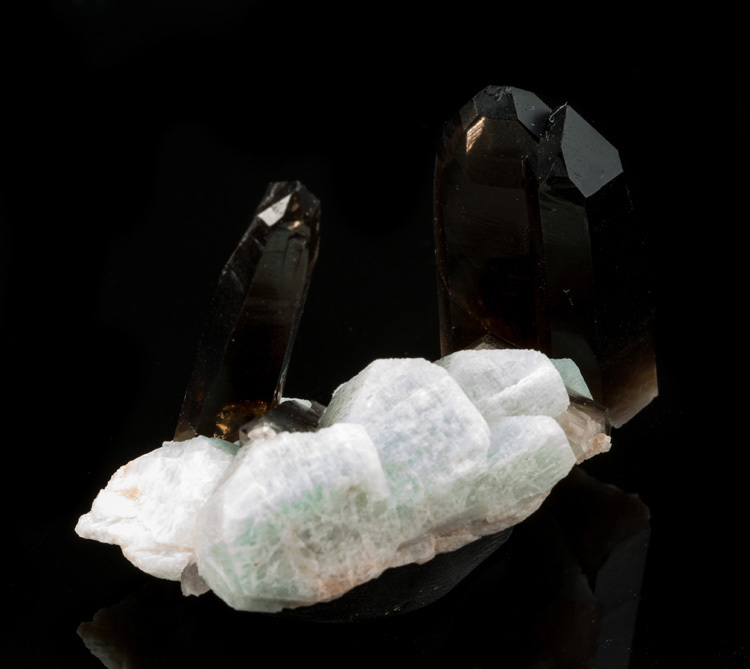 Here are 3 primary smoky quartz crystals with a few other minor crystals, and they're on a cluster of pale Amazonite. 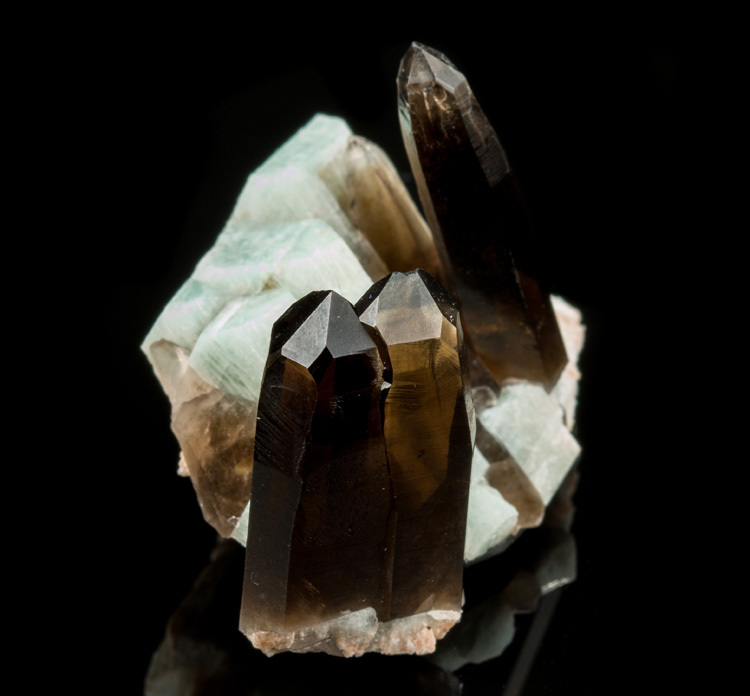 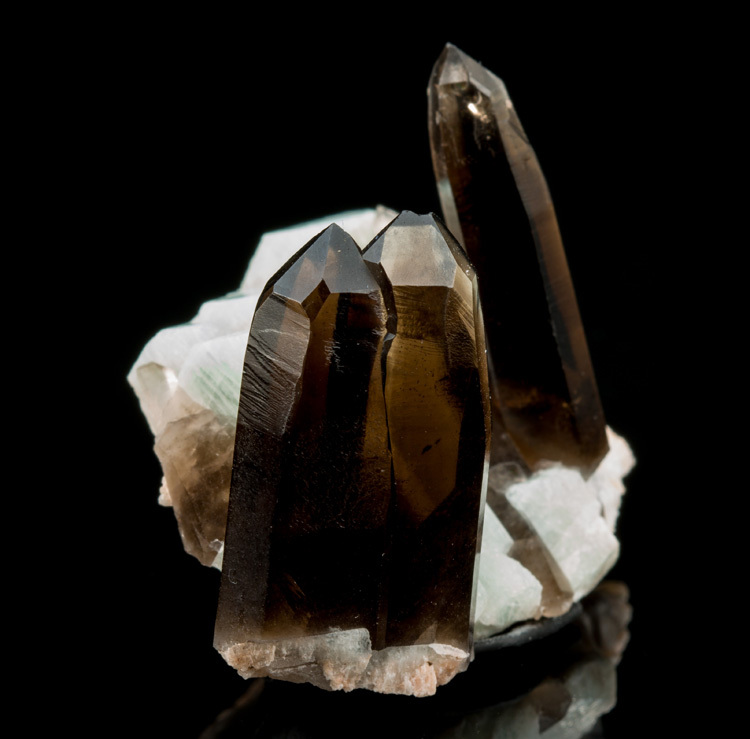 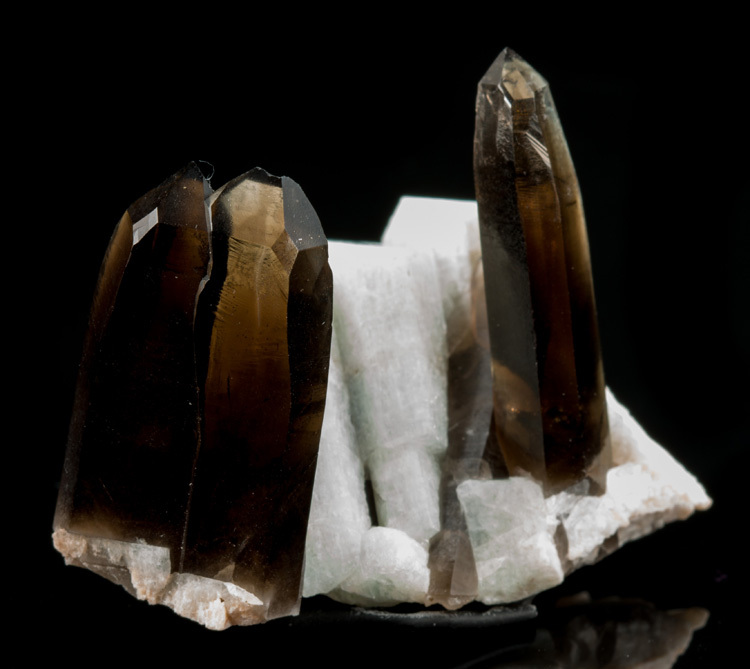 The primary smoky quartz have excellent transparency and luster. 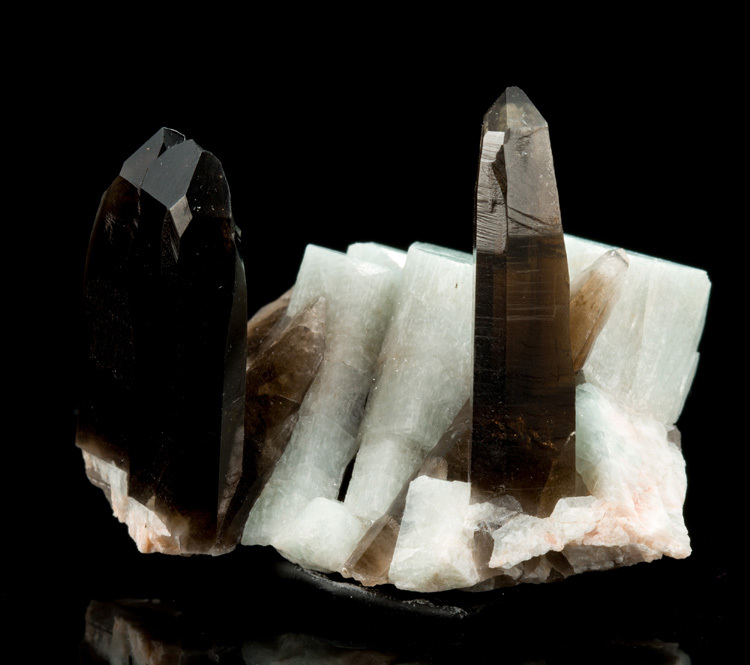 No repairs.